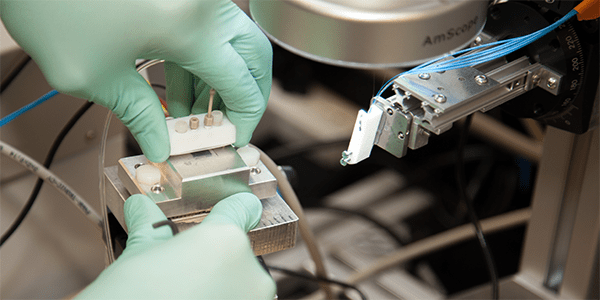 From a portable lab-on-a-chip to a smart polymer that can control biomolecule interactions, UW Bioengineering faculty and alumni have invented hundreds of advancements, launched numerous successful startup companies and regularly license technology to industry partners, fueling our economy and transforming lives. UW Bioengineering core and adjunct faculty consistently receive recognition as CoMotion Presidential Innovation Fellows (formerly UW Center for Commercialization Entrepreneurial Faculty Fellows). UW Bioengineering graduate students participate annually in the UW Foster School Business Plan Competition, bringing their novel biomedical ideas to cross-disciplinary teams and receiving funding to further develop and market their projects. Responsible faculty: Barry Lutz, Sam Browd (Neurological Surgery). Aqueduct is developing a technology platform that addresses the most frequent causes of failure in current shunt devices for hydrocephalus, the excess accumulation of cerebrospinal fluid in the brain. Responsible faculty: Patrick Stayton, James Lai. Nexgenia, Inc. develops polymer-based nanotechnology that improves the speed and sensitivity of clinical laboratory tests for the diagnosis of infectious diseases, cancer and metabolic disorders. Responsible faculty: Charles Murry, Michael Regnier, Michael Laflamme (Pathology), Buddy Ratner. Beat Biotherapeutics has developed a novel gene therapy that is capable of entirely restoring heart function in patients with heart failure.